N94 Prototype Parts Leaked - Is This The iPhone 4S? N94 Prototype Parts Leaked – Is This The iPhone 4S? 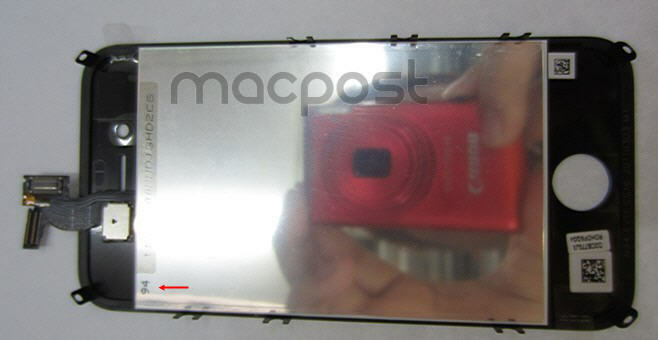 New images of the N94 Apple Prototype have appeared on Macpost, which by all accounts are near-identical to the existing iPhone 4. Recent evidence pointing to a metallic chassis for the iPhone 5 would seem to indicate that these photos are of the rumored “iPhone 4S” – the low cost mid-level smartphone aimed at Asia’s emerging markets. The images of the N94 device are labelled “Engineering Verification Test 1” and dated March 3rd, 2011. The photos include the front screen and assembly, including the digitizer panel and LCD. Images of the redesigned iPhone 5 have yet to surface.